Stomach sleepers account for 16% of the population. If you are one of these people, you know that sleeping on your stomach can compromise your sleep. You tend to twist your spine in unnatural ways as you attempt to avoid suffocation. Generally held to be the worst sleeping position by scientists, stomach sleeping doesn’t have to be bad if you have a good mattress. I have worked to compile a list of five great mattresses for that rare sixteen percent of stomach sleepers. These mattresses minimize the discomfort. You will need a soft mattress that is cool and allows for breathing. Read on to learn about stomach sleeper mattresses and find one that is ideal for you! 1. 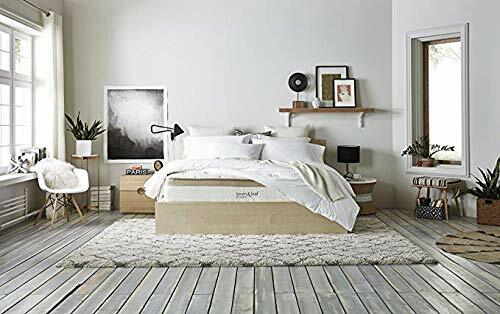 Loom & Leaf Mattress – Editor’s Choice! 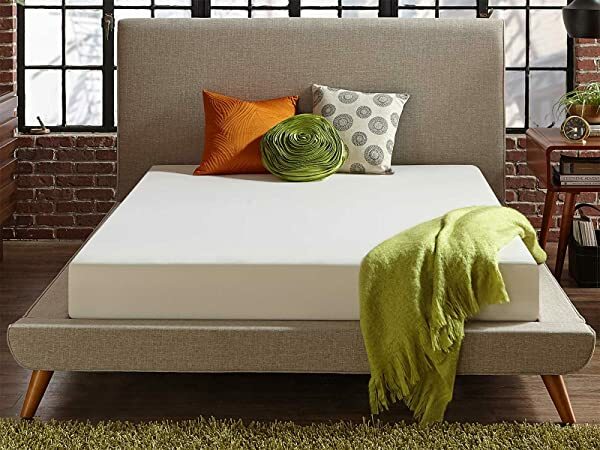 Overview: Four layers of high quality memory foam await you in this non-toxic cooling mattress. All of the soft support needed by stomach sleepers, this mattress contours to your body and conforms to your sleeping style. Review: I enjoyed many sweet dreams on this mattress. It relieved my heat issues and my allergies as well as my joint pain. Sleeping on my stomach on this mattress felt fine – I could breathe freely. The setup was quick and effortless and the mattress looked nice. I fell into it and it was like falling into a hug. 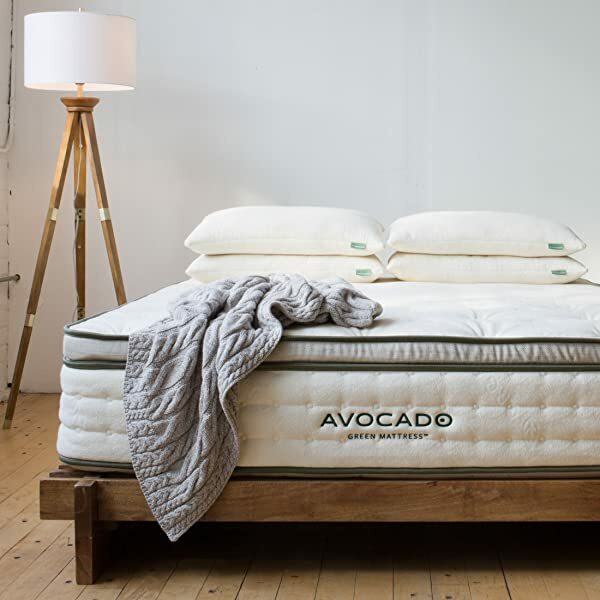 Overview: Enjoy an interesting proprietary blend of wool, organic cotton, and natural latex in a comfortable, cool hypoallergenic mattress perfect for stomach sleepers. Greenguard Gold certified, it is eco-friendly and made with restful sleep in mind. It is a hybrid with different-length coils and Dunlap latex. Review: The all-natural materials appealed to my eco-conscious side, but I was skeptical of its comfort. It was a soft yet supportive mattress that supported my joints well, leaving me feeling well-rested in the morning. I did not experience any odors and did not need to let it outgas for long. It felt weird on my box spring and the springs seemed to come up sharply, so I had to leave it on my floor for best sleep. 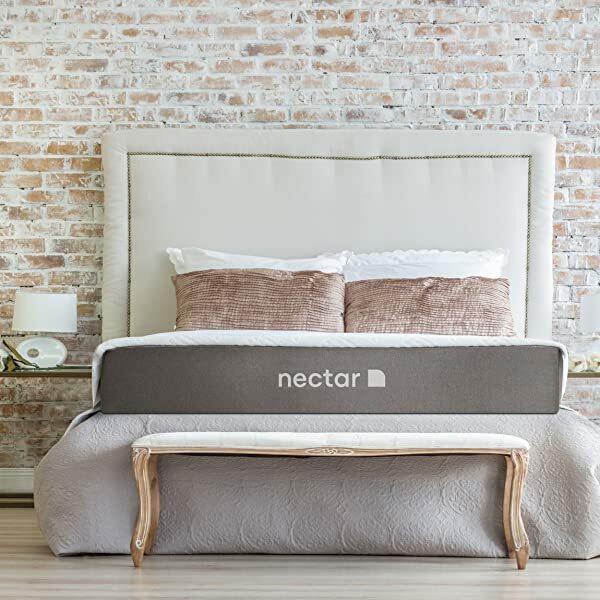 Overview: Cooler than memory foam but just as supportive, this Certipur-certified mattress is the perfect happy medium between soft and firm. The ultra soft plush cover, thick cooling adaptive foam with graphite, and a layer of support foam combine to create meaningful and comfy sleep. Review: As a longtime fan of memory foam, I didn’t think that I could find anything better. But then I found this nifty bed in a box! It was the coolest night’s sleep I have ever had – midsummer. I didn’t wake up drenched in sweat once. It did not hurt my back or neck and I felt like I could breathe easily. I enjoyed the blend of soft and firm, which made it ultra supportive and easy to sleep on. Overview: Firm yet soft, cool yet comfortable, this gel memory foam mattress is specially designed for stomach sleepers. It molds to your body to relieve aches and pains. It also weighs in at 80 pounds, proving its high density. Review: This mattress was incredibly unwieldly to set up. I appreciated that it came with two free pillows and was Certipur certified. When I put it to the test, I was pleasantly surprised to find that I slept soundly. It eased my pain and cushioned my joints. Overview: This bed in a box delivers surprising comfort and quality for its low price and convenient setup. Plush memory foam comprises this mattress for a buoyant sleep experience. The HD core relieves pressure on your joints while the washable linen cover feels cool and soft on your skin. It is breathable to prevent heat retention. Review: I took this mattress out of the box and let it outgas. It has a strong odor that went away over the next few weeks. I was impressed with its softness as I sank into it, enjoying every moment. In the morning, my sciatica and back pain was not an issue. I slept very soundly. However, with time, I began to experience too much softness. It is great for stomach sleeping but not so much for combination sleeping. Sleeping on your stomach is generally considered bad, but if you naturally tend to sleep on your tummy, find a mattress to offer you softness without suffocation. Keeping your budget, preferences, and needs in mind, start shopping for your ideal stomach sleeper mattress today. The Important Asian Pear Nutrition Facts is Right Here! How Many Calories in Nectarine? Discover the Answer Here!